Home Tags Posts tagged with "elaine stritch"
Broadway legend Elaine Stritch has died at her home in Michigan aged 89. Elaine Stritch was also known for her work in the 1970s television series Two’s Company. The actress recently had a recurring role on celebrated comedy 30 Rock and held a farewell concert tour in New York. 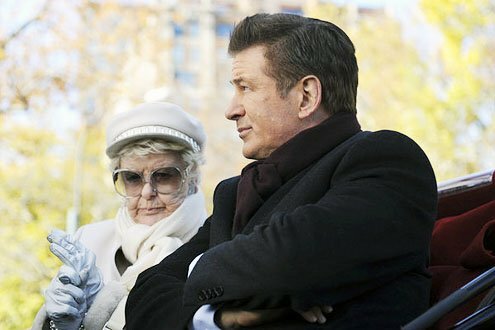 Elaine Stritch retired to Birmingham, Michigan, after seven decades in the spotlight, suffering from diabetes and having recently broken her hip. The actress and singer was known for her tart tongue and wry musings, as well as a penchant for cigarettes and alcohol. Elaine Stritch began her career in the 1940s, performing in a series of stage productions and eventually garnering five Tony nominations. She also appeared in films, including Woody Allen’s September and Small Time Crooks. Elaine Stritch admitted it would be difficult to bow out of the limelight during her farewell concert tour in April 2013.